Our bodies go through myriad changes as we age; in terms of stress, as we grow older, we are both exposed to new physical stressors and begin to handle those stressors in a different way. This post seeks to break down those stress-related changes and provide methods for coping with them. Normally, our body keeps this process under control through various stress response and repair pathways, but as we age, those pathways’ ability to respond to stress declines. As a result, stress can have a stronger effect on the health of older individuals. 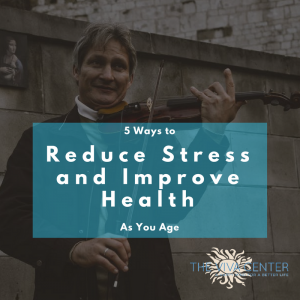 Not only does the way we handle stress change as we get older, but according to organizations like the American Institute of Stress, stress can accelerate the aging process. It’s somewhat of a vicious cycle, with growing older contributing to worse stress reactions, and stress leading to cognitive and physical aging. Studies suggest that those whose bodies respond less actively to stress (including older individuals) are more at risk for physiological problems like sleep dysfunction, stomach ulcers, heart disease, and more. This explains in part why we associate those health issues with an older population. At the same time, these health issues cause increased stress, thereby making us even more vulnerable to new physical concerns. 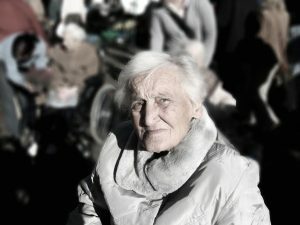 With more physiological stressors on top of the common emotional stressors of aging (losing loved ones, retirement, disability), researchers are focusing on effective stress-reduction techniques that can help us remain healthy and happy in our later years. Thanks to those researchers, we’re learning more about how to combat the negative effects of stress every day. Here are a few tried and true methods. Exercise: Researchers at Princeton have found that exercise teaches our brains stress resilience. Evidence suggests that when individuals who exercise frequently experience a stressor, the neurons in their brain that inhibit excitement undergo a boost of activity. This lowers anxiety and prevents stress from interfering with normal brain functioning. Perhaps this why a recent study showed that physically fit women in their 60s had similar stress responses to unfit women in their late 20s. 2. Low-Stress Diets: Staying away from processed foods and getting all of our nutrients is important throughout our lives, but can be especially helpful as we age. Foods high in Vitamin C, like citrus fruits, reduce stress and boost our immune system. Complex carbohydrates like whole grains, fruits, and vegetables, stabilize our blood pressure, and omega-3 fatty acids like those found in fatty fish and nuts reduce surges of stress hormones. Even a few indulgences can be healthy for you—mint, dark chocolate, and chamomile are effective stress relievers. 3. Gardening: A recent study in the Netherlands tested the stress levels of individuals who first performed a stressful task and then either gardened or read a book; the group that gardened showed lower levels of cortisol and reported a more positive mood than their literary counterparts. Researchers suspect that we spend so much time paying “directed” or “effortful” attention to things like email, internet research, and information analysis that participating in activities which require more “involuntary” or “effortless” attention, like gardening, soothe our stressed systems. 4. Social Support: Close relationships with friends and family can slow the flow of stress hormones and prevent the development of stress-related illnesses. Not coincidentally, seniors with more social support tend to have greater longevity than their peers. 5. Mindfulness Meditation: Meditation has been found to reduce stress while increasing longevity and improving cognitive function as we age—what’s not to love? These benefits come from meditation’s effects on both our cells (making them less susceptible to dying) and our brains (altering its structure and potentially slowing degeneration). Interested in practicing mindfulness meditation and reaping these benefits, but not sure where to start? Check out this guide from Mindful, or contact one of our trained mindfulness clinicians to create a personalized plan. Which stress-reduction techniques have you found helpful? Share them with us via Twitter or Facebook! We love hearing back from you.